Renmore Scout Den Renmore Scout Den is located on Renmore Avenue please visit their very informative website www.renmorescouts.ie for more details. 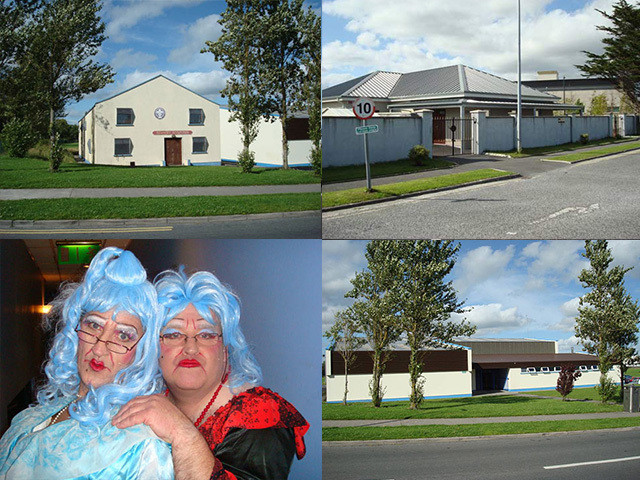 Aras Naofa Aras Naofa is a community facility located adjacent to the Church of St Oliver Plunkett. It is built on a site donated by Bon Secours Hospital and is a result of a major community initiative. The project was conceived by a number of locals, a committee was established and substantial funds were raised. Construction commenced in 2005 and the facility opened in August 2006. Further fundraising was planned as a large debt remained but Galway City Council gave €100,000 in recognition of the community aspect of the project. Aras Naofa offers meeting facilities, including a kitchenette area where teas and coffee can be served. A local Irish speaking playgroup regularly use the facility. It is best know as a community funeral home and in this role has proven invaluable to bereaved families. Funerals are arranged in cooperation with funeral directors but other events can be booked by phoning 087 2500575.